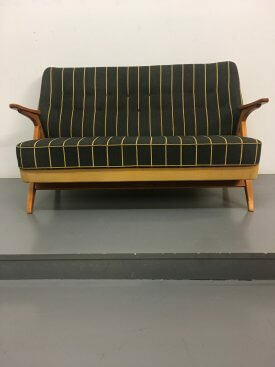 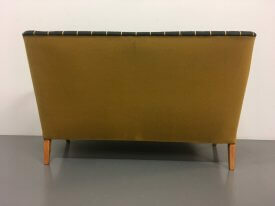 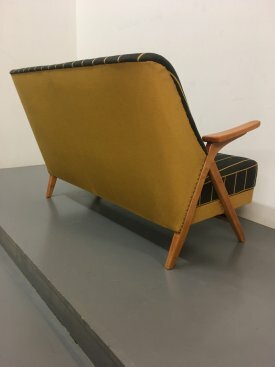 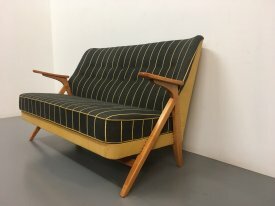 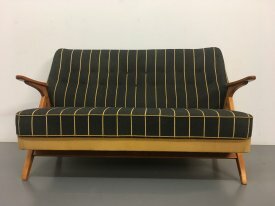 1950’s Swedish sofa. 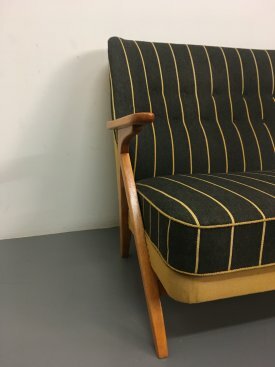 Solid beech frame with compass legs and floating armrests. 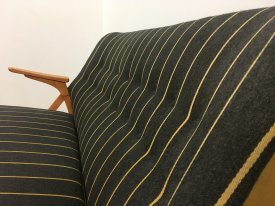 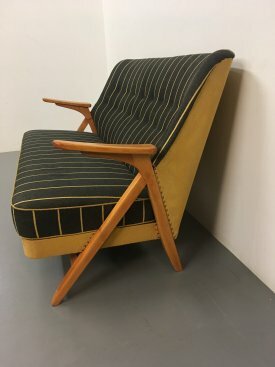 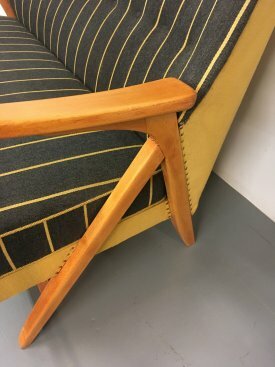 Upholstered in grey and yellow pin-striped wool with buttoned back.